Great person to write an article on Dani. I remember discovering Mr. Archer on 500px as well back when I first joined. 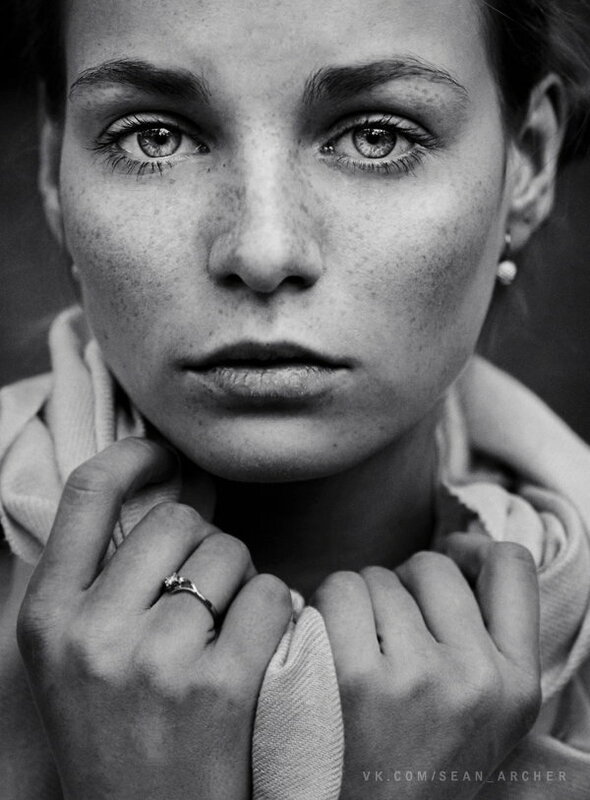 His work is just outstanding and whenever I come across one of his images...I often catch myself just getting lost in the models eyes. He truly brings out the best in each of his subjects using a minimalist approach and that is insanely refreshing. Makes me want to sell most of my gear and keep things more simple. Jesse, yeup his work is simple and just perfect. He is sitting there at the top of my list when it comes to portrait photographers. 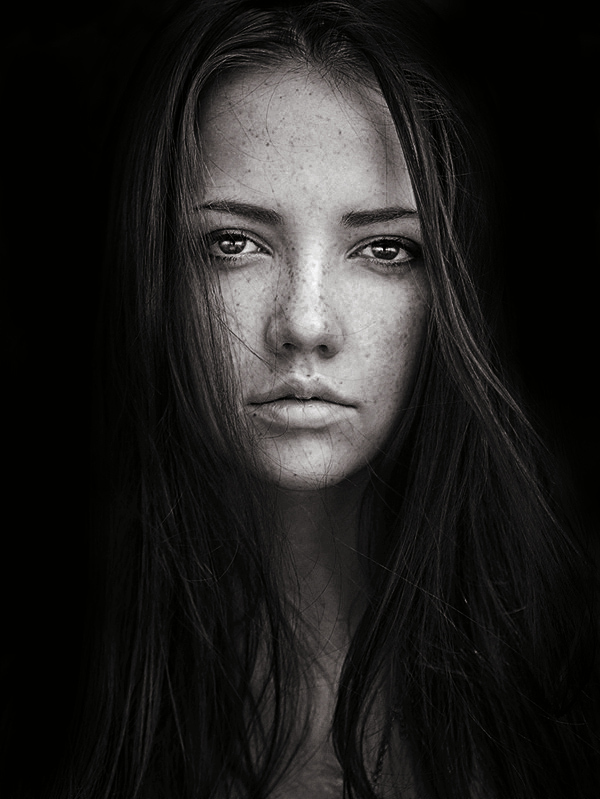 I also love his work on 500px! Really Good work. His images gradation often look like "paintings". I wish you could go on with more details on his post-processing work. I'm curious about the steps he takes. Wow! Inspired to get even more out of my 50mm 1.4. Thanks for the article Dani! The wallpaper lines bend to the chicks hips because she's been liquified so much. With amazing looking chicks and great post (for the most part) why is everyone saying what amazing photography it is? Dani as an experiment I say photograph an average looking woman and using only Lightroom's basic panel (no brushes) show me an exquisite portrait such as these. Basically great photographic/lighting skills. I want to be truly wowed again, it's been a while. Good idea, thanks for taking your time and giving feedback. Just for the record i'm not pooing the guy, you don't get over half a million views for nothing and clearly that photo was an early career image as i don't see it in his portfolios anywhere. However, the mind boggles whenever i see a Russian portfolio on 500px, the supermodel stream is clearly dense with choice. I know where i'm holidaying next! Followed you on 500px quite a while back, just can't remember when but I do remember your images standing out above a plethora of other portraiture photographers. well done for achieving so much in a short amount of time. in my opinion your biggest strength is that I always recognise your images from a mile away. Even when you use a different model (girl next door), different background and different pose, i can always tell its sean archers. This implies that one part of the photographic process is somehow better than another. The end result is what's important. His path to get there is irrelevant. Pays to have good-looking friends. Any chance of getting a post on how to overlay textures in Photoshop to spice up the backgrounds like he does? Whenever I try to do them, they end up looking completely heavy-handed... so now I basically stay away from them, but would love to learn how to do them correctly! I agree... Hard to find this level of model in my little town. Yea the same shot would look really average with a fat ugly chick. I'm starting to hate photography because it's all fake. If you have a stunning model good gear and some knowledge in post you'll be the king. That's unfair. I'm a beginner and my post is not bad but without models I'll never produce stunning pictures and the fact that you can only produce those pictures with abnormal good looking faces makes me want to quit even though I just started out. Yeaaa don't blame it on Photography mate, if you dont know how to take natural pictures. What you need is to find your style. Its what he did. Check out google for tutorials and help. Start out with friends.. family.. neighbors. And no you do not need a fancy camera. What you need is Skills. Get those skills. Practice. first you need to know your camera, and what if can do. Then STEAL ideas.. yes even from him.. as a base. how he lit the scene (a window). 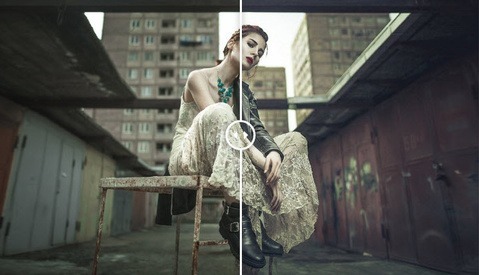 you do need postproduction for this kind of colors. Photoshop or Lightroom. then you need to practice those skills. i prefer Nik Software. Its not unfair... its how it works... and yes its timeconsuming. "everything he learned came from his own experiences and mistakes". Does one learn everything they know in a complete vacuum? I'm skeptical. I'd like to know more about his post-processing. I know he said he doesn't do much...but the toning and sharpness work here are intriguing. Knowing more about his technique, or at least how he learned it, if he doesn't want to give tips away, would be cool. I keep running into pros who are happy to publicize their work, but they really don't like sharing information. I respect their position (I can understand not wanting to give information they might consider trade secrets away)...but I feel like we're living in a more open age. Or at least...we could be. Of course, there are just as many photographers who are very open. But when someone wants me to think their genius is self-formed with no outside help...well. I think that's a little silly. Naturally. I suppose what I'm trying to do is figure out how you go from a RAW file to the finished aesthetic you have. Like I said, I don't fault you for not wanting to reveal every step of your workflow...but know that there are those of us who admire the style and tone of your photos who would like to see at least a little bit of how you do it. It's just the skin retouching he uses and dodge and burning. Use frequency separation to match all the colors on the face to give the face a doll like appearance. Make sure the make up is good as well. Sharpen the heck out of the eyes and hair and skin. Toning is actually pretty easy compared to Dani Diamonds. You can see that he uses curves color balance color fills etc. it also has a slight matte look which you can achieve with curves. And the most important part is having the perfect model. If you shoot someone with bad skin it'll never look like that even after haeavy retouching. And lastly don't forget to liguify the face to make it look unnaturally beautiful.